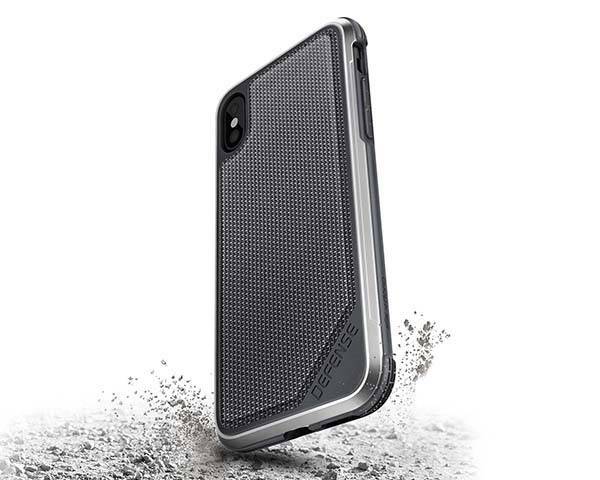 With an aluminum frame X-Doria Defense Lux iPhone X case not only provides enhanced protection for your iPhone, but also delivers a stylish look. Like the design? Let’s keep checking. The Defense Lux is a well-designed and reliable snap-on protective case designed for iPhone X. The iPhone X case measures 3.1 x 0.4 x 5.9 inches and weighs 3.52 ounces. As we can see from the images, the case sports a sleek and slim form factor, and the aluminum frame brings more modern and premium aesthetics to the exterior that’s compliant to the original design of your iPhone. 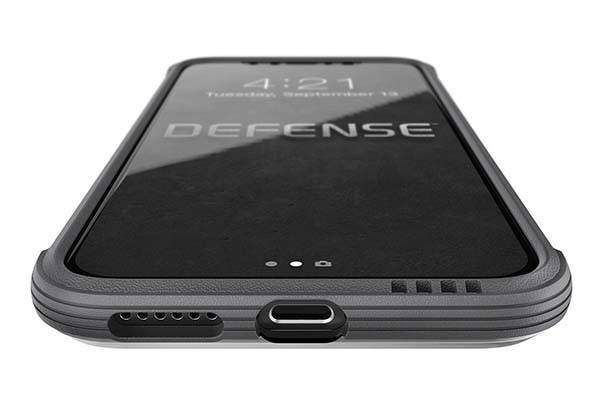 The Defense Lux iPhone X case features a three-layer construction that consists of an inner rubber layer, a polycarbonate backing and an aluminum frame, so it’s been certified to exceed MIL-STG-810G military grade drop test standards, and the raised lip protects the OLED screen from drops and surface scratches. Furthermore, using integrated front facing audio channel, the case redirects the audio to the front of your phone for enhanced sound performance. In addition, the texturized back panel delivers a comfortable and stable grip. 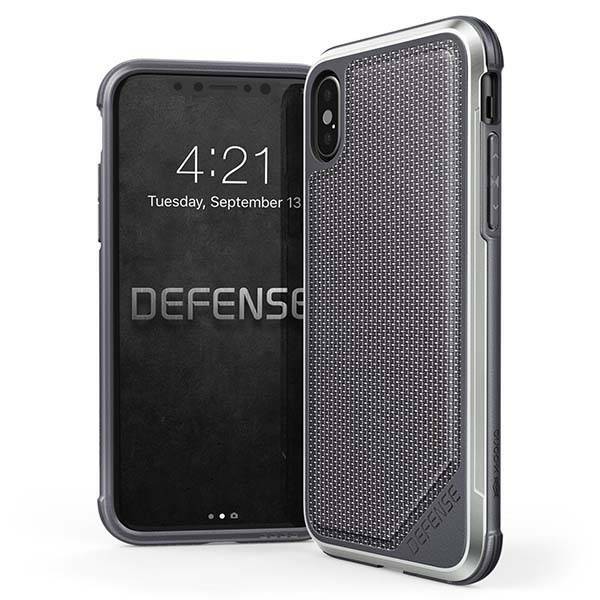 The Defense Lux iPhone X case is priced at $34.95 USD. If you’re interested, jump to here for its more details.